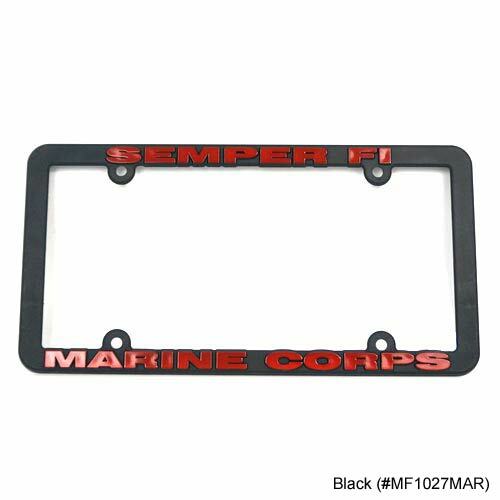 Give your vehicle a touch of style and individuality with this high quality premium license plate frame made from superior quality 304 STAINLESS STEEL. The frame is weather resistant and rust proof. This frame has unmatched quaity, a durable metal construction and a polished mirror finish, which gives it a unique and expensive look. The eye-catching sturdy construction of this frame puts feeble plastic frames to shame. Sleek contemporary lines will add a modern and refined look to your auto. Inside bottom tabs on frame will secure your plate. 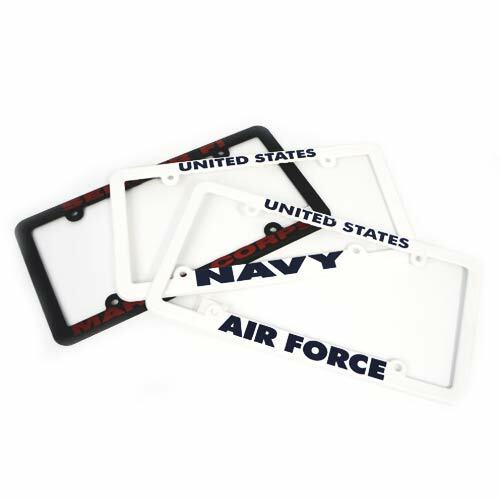 This wide-bottom license plate frame is designed to securely accommodate standard American and Canadian license plates 6 inches (height) x 12 inches (width). The wide bottom of this frame will cover approximately 1 inch or 27 mm of the lower end of your license plate.The distance between two holes is about 7 inches. 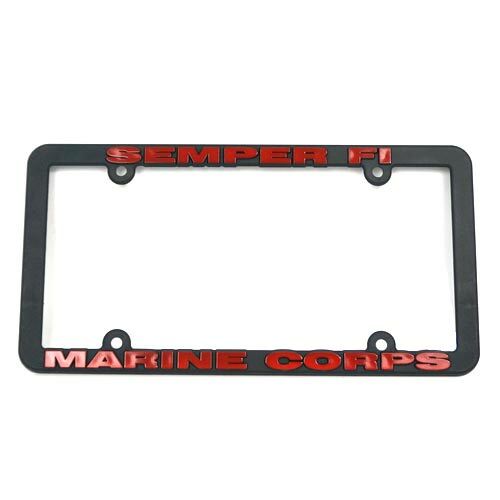 This license plate frame can be used for the front or the back of a car.